Border Control « What Happened to the Portcullis? Customs officers seized 31m counterfeit items at the EU’s borders last year worth more than €580m – with food, toys and cigarettes intercepted most frequently. The total numbers of seized products has declined since 2016, but there is a worrying trend towards a higher proportion of potentially dangerous items such as food, medicines, electrical goods and toys, which accounted for 43 per cent of all detained goods. That’s up from 26 per cent in 2015 and 34 per cent in 2016. Almost a quarter (24 per cent) of the seizures were for foodstuffs, followed by toys making up 11 per cent, cigarettes at 9 per cent and clothes at 7 per cent of the total. “The EU’s customs union is on the front line when it comes to protecting citizens from fake, counterfeit and sometimes highly dangerous goods,” said Pierre Moscovici, Commissioner for Economic and Financial Affairs, Taxation and Customs. “Stopping imports of counterfeits into the EU also supports jobs and the wider economy as a whole,” he added. Given the increasingly likelihood that the UK will no longer be part of the customs union post-Brexit, it’s worth noting that UK customs seized almost 1.5m goods last year. Once again, China and Hong Kong were the primary sources for the vast majority of illicit goods, at 73 and 10 per cent, respectively, with China down from 81 per cent in the prior year and Hong Kong up from around 8 per cent. Other countries have emerged as hot spots for particular product categories, however, with Moldova a source of illicit alcohol, the US for other fake beverages and Turkey for counterfeit clothing. India was the top country of origin for fake, and potentially harmful, medicines. In terms of modes of transport, two thirds (65 per cent) of all detained articles entered the EU via the maritime route, usually in large consignments. This was followed by air traffic which transported 14 per cent, and courier/postal traffic which together accounted for 11 per cent and mainly involved consumer goods ordered online such as shoes, clothing, bags and watches. The Commission said the downturn in seizures comes after it implemented new measures aimed at protecting intellectual property rights last year, with a particular emphasis on helping smaller companies and startups respond to breaches. 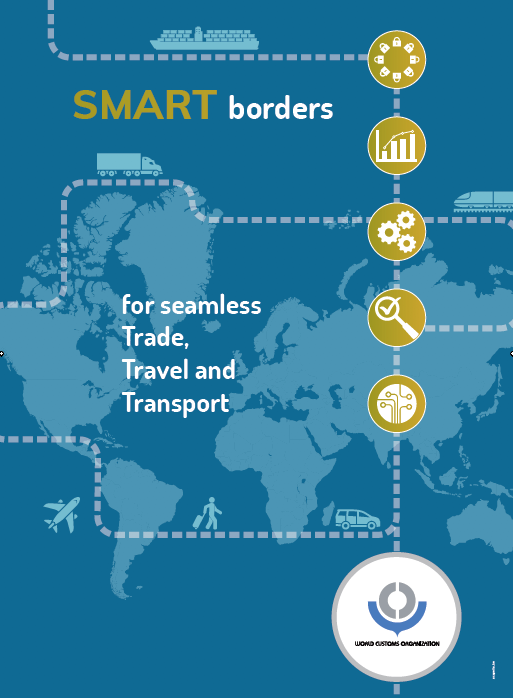 The World Customs Organization (WCO) has initiated work to identify possible case studies and uses of blockchain for Customs and other border agencies with a view to improving compliance, trade facilitation, and fraud detection (including curbing of illicit trade through the misuse of blockchains and Bitcoins), while touching on associated adjustments in legal and regulatory frameworks. The objective of this research paper is to discuss ways in which Customs could leverage the power of blockchain and the extent to which the future of Customs could be shaped by the use of blockchain-based applications. Blockchain projects are currently in the beta testing phase in the finance sector (facilitating inter-banking system processes), insurance sector (preventing fraud and accelerating coverage) and international trade. With regard to the latter, this paper focuses its attention on two initiatives. The first was launched by MAERSK-IBM as a global trade digitalization platform to which Customs administrations are expected to join. A second initiative consists of an “information highway”, joining the National Trade Platform of Singapore and the Trade Finance Platform of Hong Kong, with a view to creating a Global Trade Connectivity Network (GTCN). A conclusion that has been reached after discussion is that Customs would be able to have a broader and clearer picture of international trade particularly in terms of the movement of cargoes and consignments as being tied with the flow of capital. With blockchain-based applications, therefore, Customs could become a full-fledged border regulator with greater capabilities in the future. Egypt’s Ministry of Interior confirms that it has foiled a plot to smuggle a large shipment of cannabis weighing 6 tons into the country through the Mediterranean Sea on board a ship. The Ministry said in an official statement that the efforts of its security services are continuing to abort the schemes of dangerous elements seeking to import and smuggle narcotics into Egypt. It pointed out that early investigations of the General Directorate for Drug Control confirmed the intention of a gang to smuggle a large amount of cannabis stored in Syria to Egypt. The crew of the ship managed to set sail from the Syrian port of Lattakia for landing off the coast of Egypt, but Egypt’s maritime security prevented them from doing so. The ministry added that in light of the information available about the movement of the smugglers, they moved to the south of Crete to avoid arrest by the Egyptian authorities. The ministry said that the concerned bodies coordinated with Greek authorities and provided them with information on the movements of the ship to be seized. The coordination resulted in the Greek authorities seizing the ship and the cargo and arresting its crew of six persons with Syrian nationality. The U.S. Department of Homeland Security (DHS), U.S. Citizenship & Immigration Services (USCIS), Immigration & Customs Enforcement (ICE), Customs & Border Protection (CBP), Index, and National File Tracking System of Records, implemented new or modified uses of information maintained on individuals as they pass through the immigration process. The new requirements became effective as of 18 October 2017. The new regulation updates the categories of individuals covered, to include: individuals acting as legal guardians or designated representatives in immigration proceedings involving an individual who is physically or developmentally disabled or severely mentally impaired (when authorized); Civil Surgeons who conduct and certify medical examinations for immigration benefits; law enforcement officers who certify a benefit requestor’s cooperation in the investigation or prosecution of a criminal activity; a­nd interpreters. It also expands the categories of records to include: country of nationality; country of residence; the USCIS Online Account Number; social media handles, aliases, associated identifiable information, and search results; and EOIR and BIA proceedings information. The new regulation also includes updated record source categories to include: publicly available information obtained from the internet; public records; public institutions; interviewees; commercial data providers; and information obtained and disclosed pursuant to information sharing agreements. With this latest expansion of data allowed to be collected, it begs the question: How does one protect sensitive data housed on electronic devices? In addition to inspecting all persons, baggage, and merchandise at a port-of-entry, CBP does indeed have the authority to search electronic devices too. CBP’s stance is that consent is not required for such a search. This position is supported by the U.S. Supreme Court, which has determined that such border searches constitute reasonable searches; and therefore, do not run afoul of the Fourth Amendment. Despite this broad license afforded CBP at the port-of-entry, CBP’s authority is checked somewhat in that such searches do not include information located solely in the cloud. Information subject to search must be physically stored on the device in order to be accessible at the port-of-entry. Additionally, examination of attorney-client privileged communications contained on electronic devices first requires CBP’s consultation with Associate/Assistant Chief Counsel of the U.S. Attorney’s Office. Consider carrying a temporary or travel laptop cleansed of sensitive local documents and information. Access data through a VPN connection or cloud-based warehousing. Consider carrying temporary mobile devices stripped of contacts and other confidential information. Have calls forwarded from your office number to the unpublished mobile number when traveling. Back up data and shut down your electronic device well before reaching the inspection area to eliminate access to Random Access Memory. Use an alternate account to hold sensitive information. Apply strong encryption and complex passwords. Partition and encrypt the hard drive. Clean your electronic device(s) following return. Following Britain’s recent utterances that it will not rule out the possibility that the EU may retain oversight of customs controls at UK borders after it leaves the bloc, the Irish government has warned UK authorities it will not be used as a “pawn” in Brexit negotiations, reports News Letter, UK. Foreign Affairs Minister Simon Coveney said he does not want the issue of the Irish border to be used by the UK government as a tool to pressurise the EU for broader trade agreements. Mr Coveney also said that sufficient progress on the future of the Irish border has not been made during Brexit talks. He warned that in order for Brexit negotiations to move onto the next phase “measurable and real progress” is needed. Before the meeting Mr Brokenshire insisted there was no possibility of the UK staying within a customs union post Brexit. He said that to do so would prevent the UK from negotiating international trade deals.However, following a meeting with the Irish and British Chamber of Commerce he said there would be a period of implementation where the UK would adhere closely to the existing customs union. “We think it is important there is an implementation period where the UK would adhere closely to the existing customs union,” said Mr Brokenshire. “But ultimately it is about the UK being able to negotiate international trade deals. We want to harness those freedoms. If we were to remain in the customs union that would prevent us from doing so. “We are leaving EU, customs union and single market. We have set out options as to how we can achieve that frictionless trade,” he added. He added: “That would certainly make the issues on the island of Ireland an awful lot easier to manage. “But of course the British Government’s stated position is not in agreement with that but that doesn’t mean we won’t continue to advocate for that. “In the absence of that it is up to the British government to come up with flexible and imaginative solutions to actually try to deal with the specific island of Ireland issues.” Source: Newsletter.co.uk, author Mc Aleese. D, August 22, 2017. Reuters reports that Britain will not rule out the possibility that the EU may retain oversight of customs controls at UK borders after it leaves the bloc, as the country seeks ways to keep unhindered access to EU markets following Brexit. Last week, the UK published a policy document proposing two possible models for customs arrangements between Britain and the EU after withdrawal from the EU in 2019. The first model was a “highly streamlined customs arrangement”, which involved the reintroduction of a customs border but which envisaged electronic tracking of shipments, rather than physical checks of goods and documents at the border. An alternative proposal was the “new customs partnership”, which would remove the need for a customs border between the UK and EU altogether. Under this model, the UK would operate as if it was still part of the bloc for customs purposes. British goods would be exported tariff-free and Britain would levy EU tariffs on goods coming into the UK for onward passage to the EU directly or as components in UK exports. Lawyers said there would be a need for a mechanism to oversee the “new customs partnership” to ensure that the UK was correctly monitoring goods coming into the UK and destined for Europe. The EU’s system of movement of goods across EU borders without checks works on the basis all members closely monitor shipments coming into the bloc from outside, to ensure the correct tariffs are paid and that goods meet EU standards. Police are on high alert looking for a syndicate that uses donkeys to smuggle luxury cars across the Limpopo River into the Zimbabwe. Thieves tied ropes to the cars which were hitched on to the donkeys to pull the cars across the river. Some cars are driven through the drier parts of the river. On Tuesday, a Mercedes Benz C220 was intercepted before it disappeared into Zimbabwe. “Our members were just in time to pounce on them after the donkeys were apparently no longer able to pull it through the sand,” Brigadier Motlafela Mojapelo for the SA Police Service said. The suspects fled into the bushes towards Zimbabwe side. Most of the cars are being smuggled across the river through the border between South Africa and Zimbabwe, south of Beitbridge border post. In December, police recovered a Hilux bakkie when thieves attempted to smuggle it through the river. The bakkie was stolen in Durban. It was semi-submerged in the water when Limpopo police commissioner Lieutenant-General Nneke Ledwaba spotted it from a helicopter while he was leading a high-density operation in Musina and Beitbridge. The vehicle and donkeys were abandoned in the middle of the river and the suspect fled into Zimbabwe. It is not clear why the thieves do not simply driver the car into Zimbabwe – one reason might be that most modern cars are fitted with a tracking device which uses satellite tracking to locate a vehicle, if stolen. The tracker is only active when the car is running. Mojapelo said 13 vehicles have been recovered since January this year. Thieves target luxury bakkies, SUV’s, specifically Toyota and Isuzu. Gauteng and KwaZulu-Natal are the two provinces that are mostly affected. Last week, four vehicles were recovered. A Range Rover worth R900 000 was recovered after police intercepted it at the Beitbridge border post. The vehicle was en route to Malawi. The man was arrested and was found in possession of cash with an estimated amount of R30 000. Mojapelo said the car had Limpopo registration numbers, but it was still unclear where it was stolen. Source: Pictures – SAPS and article – Iavan Pijoos, News24, 2 August 2017. The U.S. Embassy in South Africa’s office of U.S. Customs and Border Protection (CBP) donated border enforcement equipment and tools to the South African Revenue Service (SARS) at their K-9 facility in Kempton Park today. The equipment will be utilized in support SARS’ efforts to safeguard the borders in South Africa. The donation, valuing more than $105,000, includes vehicle GPS units, field binoculars, night vision goggles, handheld thermal imagers, radiation detector/pagers, and contraband detection kits. With more than 60,000 employees, CBP is one of the world’s largest law enforcement organizations and is charged with keeping terrorists and their weapons out of the U.S. while facilitating lawful international travel and trade. As the United States’ first unified border entity, CBP takes a comprehensive approach to border management and control, combining customs, immigration, border security, and agricultural protection into one coordinated and supportive activity. The men and women of CBP are responsible for enforcing hundreds of U.S. laws and regulations. On a typical day, CBP welcomes nearly one million visitors, screens more than 67,000 cargo containers, arrests more than 1,100 individuals, and seizes nearly six tons of illicit drugs. Annually, CBP facilitates an average of more than $3 trillion in legitimate trade while enforcing U.S. trade laws. Source: APO on behalf of U.S. Embassy Pretoria, South Africa. Well, one things for sure – “customs” as an exterior entity is all but gone down under – Australian Prime Minister Malcolm Turnbull announced on Tuesday he will set up a single ministry to oversee the country’s internal security, including police, intelligence, border protection and immigration affairs. Turnbull said the measure was necessary to address the complexity and rapid evolution of security challenges in the country, including domestic terrorism, international organized crime and cybercrimes. “We need these reforms, not because the system is broken, but because our security environment is evolving quickly,” Turnbull said at a press conference. “When it comes to our nation’s security, we must stay ahead of the threats against us. There is no room for complacency,” he added. Immigration Minister Peter Dutton will now head the Australian Federal Police, Australian Security Intelligence Organisation (ASIO) and the Australian Border Force. Turnbull said the initiative, which will take a year to implement, is the largest internal security reform in 40 years and that the creation of the super ministry emulates similar decisions taken by other countries such as the United Kingdom. The new portfolio will be similar to the United Kingdom’s Home Office arrangement, a federation, if you will, of border and security agencies,” he told reporters on Tuesday. As part of the reform, a single national intelligence office will be the coordinating authority, and will comprise a new center that will be dedicated to cybersecurity. The reform was approved despite initial resistance by Attorney-General George Brandis, Foreign Minister Julie Bishop and Minister of Justice, Michael Keenan. Turnbull assured that both the federal police and ASIO will retain their independence and that actions by the security agency will have to be approved by the attorney general. The opposition criticized the decision and accused Turnbull of trying to use the reform to consolidate his leadership in the face of pressure from the most conservative sections of the ruling coalition. Australia raised its terror alert in September 2014 and has passed a series of anti-terrorist laws to prevent attacks on its territory. Vietnamese authorities have seized nearly three tonnes of ivory hidden among boxes of fruit, officials said on Sunday, the latest haul to spotlight the country’s key role in the global wildlife smuggling trade. Police in the central province of Thanh Hoa found 2.7 tonnes of tusks inside cartons on the back of a truck that was on its way to Hanoi, according to their website. “This is the largest seizure of smuggled ivory ever in Thanh Hoa province,” the report said.State media said the elephant tusks originated from South Africa. The truck driver claimed he was unaware of what he was transporting, according to a report in state-controlled Tuoi Tre newspaper. The global trade in elephant ivory, with rare exceptions, has been outlawed since 1989 after populations of the African giants dropped from millions in the mid-20th century to around 600,000 by the end of the 1980s. There are now believed to be some 415,000, with 30,000 illegally killed each year. Prices for a kilogramme of ivory can reach as high as US$1,100 (Dh4,040). Vietnam outlawed the ivory trade in 1992 but the country remains a top market for ivory products prized locally for decorative purposes, or in traditional medicine despite having no proven medicinal qualities. Weak law enforcement in the communist country has allowed a black market to flourish, and Vietnam is also a busy thoroughfare for tusks trafficked from Africa destined for other parts of Asia, mainly China. Last October, Vietnam customs authorities discovered about 3.5 tonnes of elephant tusks at Cat Lai port in Ho Chi Minh city, all in crates of wood, including a hefty two-tonne haul packed into a single shipment. In 2015, 2.2 tonnes of tusks, originating from Mozambique, were discovered and seized northern Hai Phong port. And last week authorities in Hong Kong seized 7.2 tonnes of ivory, the largest haul in the city for three decades. Currently, New Zealand Customs can stop anyone at the border and demand access to any of their digital devices. A new law means Customs will no longer be able to demand that people entering the country hand over the passwords to their devices without reasonable cause. Currently, Customs can stop anyone at the border and demand access to any of their digital devices. But ACT leader and sole-MP David Seymour has secured a change to this in the new Customs and Excise Bill, which is soon to have its second reading. Officers will need to have “reasonable suspicion” or belief of offending. There will be no appeal process. Figures obtained by TVNZ showed that more than 1300 have been digitally “strip searched” since 2013. New Zealanders were the most commonly searched, followed by people from China. “Unrestricted power to demand people’s passwords and search their files is an affront to civil liberties, and it will inevitably lead to violations of privacy,” Seymour said. “Customs practices are simply out of touch with modern reality. In the past, people would only pack a suitcase with a few paper documents, but younger generations often travel with all their personal files. Meanwhile, if a genuine criminal is determined to keep incriminating files, they’ll do it on cloud storage, not on their personal device. “This will prevent countless New Zealanders and visitors from facing intrusive and unjustified searches. “Customs’ powers to examine and access electronic devices will be restricted through a two-stage search threshold. This means that Customs will only be able to search a device if they have a reasonable suspicion or belief of offending under the Act,” Customs Minister Nicky Wagner said. “We have addressed concerns raised by the public during consultation around Customs’ powers to search e-devices at the border. Researchers at Sandia National Laboratories have developed new glass scintillators to detect suspicious nuclear material at borders and ports. The new scintillators are cheap, effective and more stable than the current scintillators in use. Scintillators, which produce bright light when struck by radiation, are used extensively by the US Government in homeland security as radiation detectors. By observing the amount of light produced, and how quickly, the source of radiation may be identified. Dr Patrick Feng, who led the Defense Nuclear Nonproliferation project, began to develop new types of scintillators in 2010, in order to “strengthen national security by improving the cost-to-performance ratio of radiation detectors”. To improve this ratio, he had to “bridge the gap” between effective scintillators made from expensive materials, and affordable but far less effective models. Although there are many types of scintillator available, the best-performing scintillators are made from trans-stilbene. This crystallised form of a molecule allows border security tell the difference between gamma rays, which appear naturally everywhere, and neutrons, which are often associated with threatening materials such as plutonium and uranium, by producing a bright light in response. The gold standard scintillator material for the past 40 years has been the crystalline form of a molecule called trans-stilbene, despite intense research to develop a replacement. Trans-stilbene is highly effective at differentiating between two types of radiation: gamma rays, which are ubiquitous in the environment, and neutrons, which emanate almost exclusively from controlled threat materials such as plutonium or uranium. Trans-stilbene is very sensitive to these materials, producing a bright light in response to their presence. These crystals, however, are too fragile and expensive (around S1,000 per cubic inch) to be used in the field, and instead, security personnel will tend to use plastic-based scintillators, which can be moulded into large shapes but are ineffective at differentiating between different types of radiation or detecting weak sources. In order to find a good alternative, Dr Feng and his team at Sandia National Laboratories in Livermore, CA, began to experiment with organic glass components, which are capable of discriminating between different types of radiation. Tests demonstrated that scintillators made with organic glass performed even better than the trans-stilbene scintillators in radiation detection tests. The researchers were able to improve their design further when they drew a parallel between the behaviour of LEDs, which produce light when electrical energy is applied, and scintillators, which respond to radioactive sources. They found that adding fluorine, which is used in some LEDs, into the scintillator components helped stabilise them. This allowed for the organic glass to be melted down and cast into large blocks without becoming cloudy or crystallising upon cooling. The result was an indefinitely stable scintillator able to differentiate between non-threatening radioactive sources, such as those used in medical treatments, and those which could constitute threats. The organic glass components are cheap and easy to manufacture, and do not degrade over time. The notices detailing President Donald Trump’s promise to build a “big, attractive wall” were made public late Friday (3 April 2017) by Customs and Border Protection. The request from the Customs and Border Protection Department called for a 30-ft-high wall, but said that plans to build a wall minimum 18 ft in height may be acceptable. “The north side of wall (i.e. USA facing side) shall be aesthetically pleasing in color, anti-climb texture, etc., to be consistent with general surrounding environment”, reads the RFP. In the documents, CBP says that the side facing the US must also be “aesthetically pleasing” in “color, anti-climb texture etc., to be consistent with general surrounding environment”. And that’s before a new Trump budget, which came out Thursday, includes $2.6 billion over two years to begin construction of the wall. The government is asking for a 9-meter-high concrete barrier, extending 2 meters underground, built to be “physically imposing” and capable of resisting nearly any attack, “by sledgehammer, vehicle jack, pickaxe, chisel, battery-operated impact tools, battery-operated cutting tools [or] oxy/acetylene torch”. Earlier this week Mexican lawmakers increased pressure on Mexican construction firms tempted to help build deeply reviled wall. The proposal document asks contractors for 30-foot-long prototypes and mock-ups of 10 feet by 10 feet. Although Trump made it a centerpiece of his presidential campaign to get the Mexican government tol pay for the wall, expectations are low that the U.S.’s southern neighbor will give money while it’s being built or afterwards. The specifications leave almost all of the design work to interested bidders, who now have about two weeks to develop and submit their plans, known as proposals. Trump called for the wall to stop illegal immigration into the United States from Mexico and to cut off drug-smuggling routes. Senate Majority Leader Mitch McConnell (R-Ky) said in January that the wall would cost between $12 billion and $15 billion, though other estimates have put the price tag as high $25 billion. There was some misplaced optimism that Donald Trump would immediately jettison all of his inane campaign promises upon taking office; that the threat of a wall at the Mexican border would be quietly tabled for its obvious insanity. INTERPOL has launched a training programme on the use of digital forensics on shipborne equipment to support maritime investigations with a workshop held in Portugal. The three-day (6-8 February) workshop saw officers from INTERPOL and the Portuguese Maritime Police test the training course, which will aid future participants to identify and understand the purpose of the main electronic equipment found on vessels; determine which equipment could potentially contain data of interest for a criminal investigation; how to extract such data from the devices; and how to organize the data to best support an investigation. Theoretical and hands-on classroom sessions were followed by practical exercises onboard several different types of vessels in the port of Aveiro. The training programme will assist police worldwide when conducting investigations with a maritime element, such as illegal fishing, maritime piracy, drug trafficking or human trafficking.